Here’s a fantastic deal that you can grab at Kohl’s on this Set of Rachael Ray Cookware! 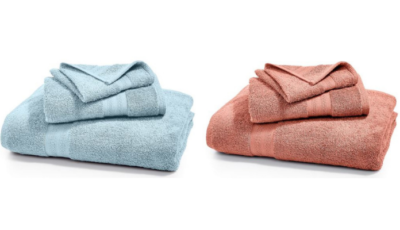 You can get this entire set for just $169.99 right now on Kohls.com + If you’re a Kohl’s Charge Card Holder you can use the coupon code TREAT30 at checkout to save 30% or use the coupon code HAYRIDE to save 15% if you don’t have a Kohls Charge Card. That means you’ll pay as lo as $118.99 + Starting today there’s a $30 Mail In Rebate & you’ll earn $20 in Kohl’s Cash! That’s like paying just $69 or saving $100 off the sale price!!! That’s amazing guys! Like paying as low as $69.99! Where’s the $30 mail-in rebate?